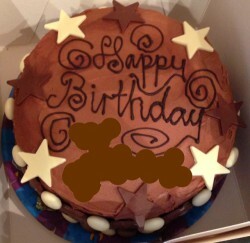 The scribbles aren’t because the baker’s flown into a rage with a tube of writing icing, or because we’ve let the toddler loose with the crayons, it’s because we’ve – rather crudely on a rubbishy picture editor app – edited out a child’s name. Ok, so we won’t get a job airbrushing Kim Kardashian’s thighs for Elle magazine, but at least we’re safe in the knowledge that the children we bake for have their identities protected. Twitter isn’t interested in who that incredible dinosaur cake was baked for; the cakes still get love on Instagram without us sharing the child’s name; and the likes keep coming in on Facebook regardless of the back-story. We didn’t adopt this policy until about a year ago, but publishing names wasn’t ever something that sat comfortably with us, and after a discussion with one of our bakers – who happens to work in family law – we just knew if was the right decision to make. 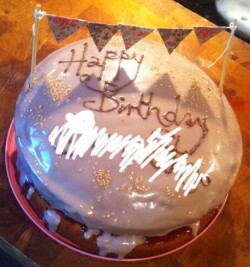 People know that we bake birthday cakes for kids who would otherwise go without and that’s enough. And to the child it doesn’t matter where their cake comes from. We don’t need the families to shout about us. We don’t care what parents or carers tell their children. At school drop-offs, classmates could believe that their mate’s mum popped by with a cake. That’s ok. The children might not give a cake’s origins a second thought so long as it’s got their favourite superhero or colour on, or they might start believing that there’s a birthday cake fairy. That’d be nice. The point is, it doesn’t matter. Life’s tough enough for many people already and the last thing they want is the fact that they’re struggling highlighted for all to see. It’s taken some time for us to build up the level of trust and understanding we have with many of our referring bodies and we don’t want to do anything to jeopardise that. We want families to be able to come to us if they need our service without worrying that others will think badly of them for getting help. That’s what we’re here for. 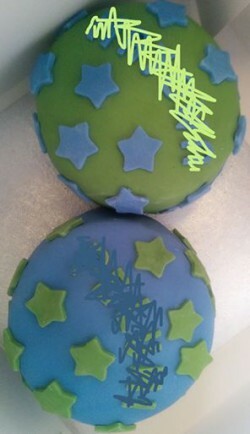 So we’ll keep on scribbling on cake photos where necessary. And while we’re more than happy to share what makes us and our organisation tick, we’ll honour our commitment to never share anything that would compromise the identity of the children and families we work with. That’s a promise.